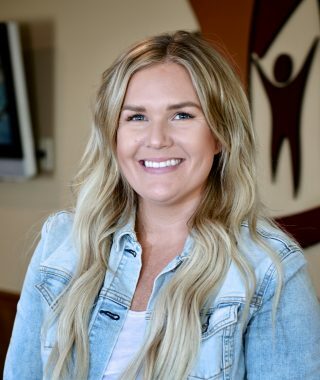 Kaylee started working at CCWC in 2018. She works the front desk handling patient accounts, scheduling, and assisting in patient therapies. Kaylee attended Goshen College and graduated with a B.S. in Nursing in 2012. Kaylee is a wife to her husband Brian and mom to Ryder and Kinsley. She enjoys playing outside with her kids, shopping, and spending time with family.